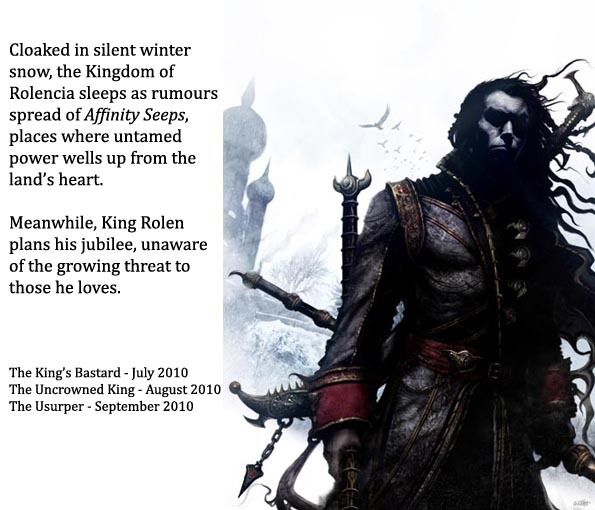 Cover and blurb for the first book of my new fantasy series, King Rolen’s Kin. 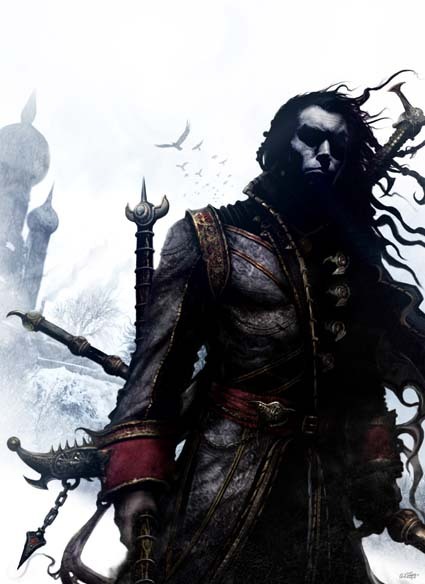 Cover art by Clint Langley. Kudos to Clint for making the character look suitably brooding and menacing. Clint is working on book two right now. Can’t wait to see the cover! Meanwhile, I had an email today from a writer who has been mentored by the lovely Louise Cusack. Bernadette, (Hi there! ), was asking about the Speculative Fiction writing scene in Australia. So I thought I’d post some useful links here, where it is easy for people to find them. It’s a good idea to keep up with what is winning awards and being shortlisted. This is full of professional industry news. Lots of info on Australian Speculative Fiction. Amazingly, this is for writers of horror. Again, slanted towards Aussie genre writer. When anthologies open for submissions you can hear about it here. Australia hasn’t had a World SF Con since 1999, before that it was 1985, and 1975. Don’t miss this one. You can subscribe online to this and keep up with the markets, for short stories and books. Agents, manuscript appraisers, festivals and more. This site has info on all sorts of international markets with response times. If you want to know if an agent, publisher, manuscript appraiser etc are legitimate, this is the site for you. Who is going to the World SF Con in Melbourne in September? I’ve already paid my membership. This holiday I’ve been watching Dark Angel. It came out in 2000 and I never heard of it until now. They only made two seasons. My favourite so far is the episode where Bruno returns. Very droll. It took Buffy two seasons to hit its stride. I only have the first season of Dark Angel, but I can’t see why it didn’t take off. Then I remember that Fire Fly was cancelled part way through its first season and all I can do is shake my head. Meanwhile, Charlaine Harris, the author the the Southern Vampire Series that is True Blood, is coming to Australia in September. See here for info, scroll down to the bottom. I really enjoyed the TV show, especially the slutty brother. Again, very droll! Here’s a pic for True Blood fans. 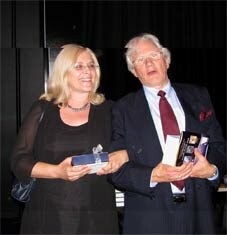 This is me with Jack Dann at the Aurealis Awards last year (January 1009). I had to present one of the categories, which I’ve done before, butI’m always a little nervous because I don’t want to get anything wrong. One year I opened the winner’s envelope and it was two people as joint winners. The way it was laid out I couldn’t tell which first name went with which last name and I have a terrible moment, where I had to madly scramble to remember the five short listed authors and put the names together. Last year Richard won an award. When he’d asked me to give his acceptance speech, he told me he was 99% sure he wouldn’t win, so I wasn’t mentally prepared but I bumbled through. Richard’s speech won a few laughs. This time Tansy has asked me to do her acceptance speech if she wins in the fantasy short story section, so I’m prepared. 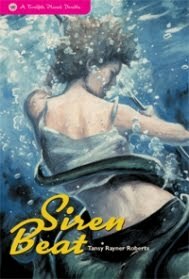 Siren Beat from Twelfth Planet Press. The Aurealis Awards are a chance for everyone in the Spec Fic world to put on their glad rags, quaff champagne and mingle. Kudos to the Fantastic Queensland team for the great job they’ve done organising the award these last five years. And congratulations to all the short listed authors and their editors. Trent won’t blow his own trumpet, so I will! Back in March at our 2009 ROR, we were all on tenterhooks. 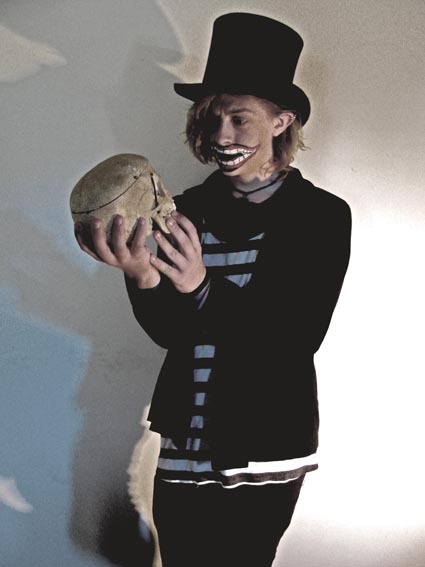 It was the weekend that the editor was taking Trent’s book, Death Most Definite, to the acquisitions meeting. Well, as you can see from the cover, they bought the book and a further two. So we are all terribly pleased and proud. The cover is up on the Orbit site, here’s the link. Trent’s series is a dark urban fantasy with a difference, set in Brisbane. It’s quirky, funny and yet poignant, and it will carry you away. Go Trent! The AAs, as they are known for short, are Australia’s Spec Fic Awards and this year I’ll be going to cheer for fellow RORer, Tansy Rayner Roberts. I wouldn’t miss the chance to wear a little black dress and drink champagne while catching up with everyone in the Spec fic world from across Australia! The ROR team will be cheering for our Tansy. Her ‘Siren Beat, published by Twelth Planet Press is a finalist in the Best Fantasy Short Story section. Tansy also has a shorlisting in the YA short story section with her Shiny #5 story, ‘Like Us’. Peter M Ball must be tap dacing on the ceiling with three shortlistings in two sections. And Sean Williams (ever the bridesmaid never the bride) is shortlisted twice for the 20th (?) time. Maybe this year he’ll win. But, as Sean will tell you, it is just a buzz to be shortlisted. The Aurealis Awards were established in 1995 and they are peer judged. Having served 5 years as a volunteer, I know it is a big job that requires dedication from the volunteers who read the entries and agonise over the shortlisting, and from those who coordinate the process and the gala ceremony. Best of luck to everyone whose work has been shortlisted and many thanks to the AA team. See you there on the 23rd of January. Tickets available from the Judith Wright Centre Boxoffice and Pulp Fiction Books, Brisbane. I once read an article about intelligence and creativity. The scientists tested children for their IQ and they went back ten years, twenty years later to assess them. They found that the children who were most successful and happy in life (how do you judge this?) were not the ones with the highest IQs but the ones who had scored highest for creativity (again, how do you test this?). I guess creativity makes you more adaptable. Really high IQ doesn’t necessarily mean life will go smoothly for you or that you will find life simple. Here Bruce Charlton, Editor-in-Chief of the journal Medical Hypotheses, talks about intelligence and common sense. But creativity does help you solve problems. Here, as reported in New Scientist, they found a correlation between creativity and scientists who were Nobel Prize winners. So there are both benefits and drawbacks to being a creative person. But, as every writer I know will tell you, you don’t have a choice. You write because you have to. Writers get excited about Covers! Here is the cover (without text) for Book One of King Rolen’s Kin. Many thanks to Clint Langley, who has worked on various comic strips such as Judge Dredd, Darkblade and Sinister Dexter as well as games such as Games Workshop, White Wolf and Urban Mamoth, plus he’s done covers for Warhammer, Black Library and Battletech, and collectible cards for WoW, Sabretooth Games and many more. This is one busy guy so I’m delighted he’s had the time to do the covers for my trilogy. Here’s what SOLARIS have to say about the cover. I’m looking forward to what Clint does with the covers of books two and three. Book covers are terribly important. Look at the furore over the cover of Justine Larbalestier’s book Liar, back in June 2009. The reaction caused the publishers to re-release the book with a new cover. In this case the cover illustration was a direct contradiction of the main character’s appearance as described in the book and because the character was black and the girl they used on the cover was white, you can imagine the reaction. It certainly didn’t hurt the book, since it aroused a lot of reaction and got people talking about the book. Over at Femmes Fatales, Kris Neri talks about her experience with her first book cover and the reaction of readers to other covers in her book shop. Since there are so many books out there competing for the readers’ attention, covers are important and writers invest so much in their books, naturally they get emotionally involved with the book covers. There’s a discussion thread at SF Chronicles on the topic of book covers. I even did a survey of the VISION list (dedicated writers and readers of the genre) and put together a post at Mad Genius Club about why they buy books. How important is the cover? What about reviews? I must confess, that I have bought books simply because I loved the cover, but then I have a background as an illustrator. When you walk into a book store, are you searching for a specific author or title? Do you browse and pick up books with interesting covers? Do you do all your book buying online? Do you read on Kindle and if so, do the covers matter?